To have any accuracy when long-range shooting, a shooter needs to calculate the effect of factors such as gravity, air resistance and wind velocity. The shooter also needs to understand how spin drift affects a bullet. Spin drift, also called gyroscopic drift, occurs when a force is applied to the spinning bullet. The force of gravity acting on the bullet sends it slightly to the right or left of the original trajectory. The direction of the drift corresponds to the direction of the barrel's twist. The impact of spin drift can be more than eight inches for a 1,000-yard distance. Determine the gyro stability factor (SG) of your bullets and firearm. Ask for this information when you purchase bullets. If the vendor does not know, there is a calculator that can help determine the SG. The SG should ideally be equal to. or higher, than 1.4. Determine the time of flight at the distance you are shooting. Calculate drift with the following formula: drift = 1.25 x (SG + 1.2) x TOF ^ 1.83. Start by raising your time of flight to the power of 1.83. In the example, 1.9 raised to the power of 1.83 is 3.237. If the SG of our bullet and gun is 1.4, then the equation becomes: drift = 1.25 x (1.4 +1.2) x 3.237 for a result of 10.52. This means in this example, the bullet will drift 10.52 inches to the left or right depending on which twist the gun barrel has. Precision is important in target shooting. Consider investing in a ballistics calculating software program. 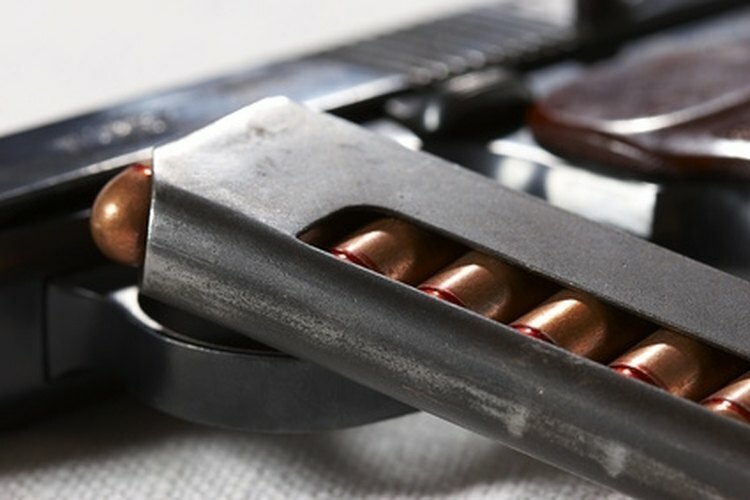 These programs account for all of the forces applied to the bullet as well as environmental factors in determining what the true trajectory of a bullet. Remember that spin drift is not the only force working on the bullet. In addition to the forces mentioned in the introduction, due to the Earth's rotation, a force called the Coriolis effect could partially counteract the spin drift or could even add to it.